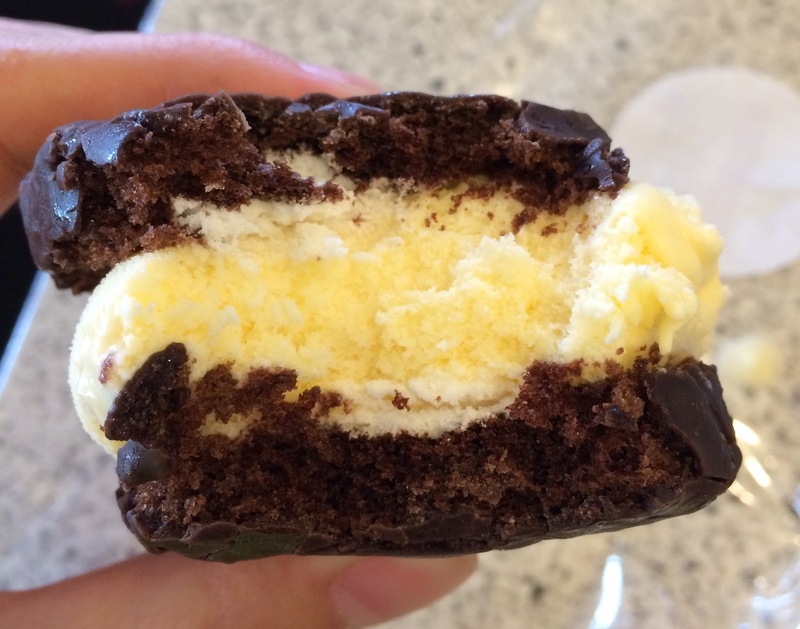 Hostess Ding Dong Ice Cream Sandwich From Carl's Jr. Besides The 1/3lb. Most American Thickburger, I got a limited time ice cream called "Hostess Ding Dong Ice Cream Sandwich" at Carl's Jr. I've never had Ding Dong, but Ding Dong is a Hostess brand's cake which is shaped into a hockey pack. It looks like CupCake but it's a shorter column without the swirls on the top. 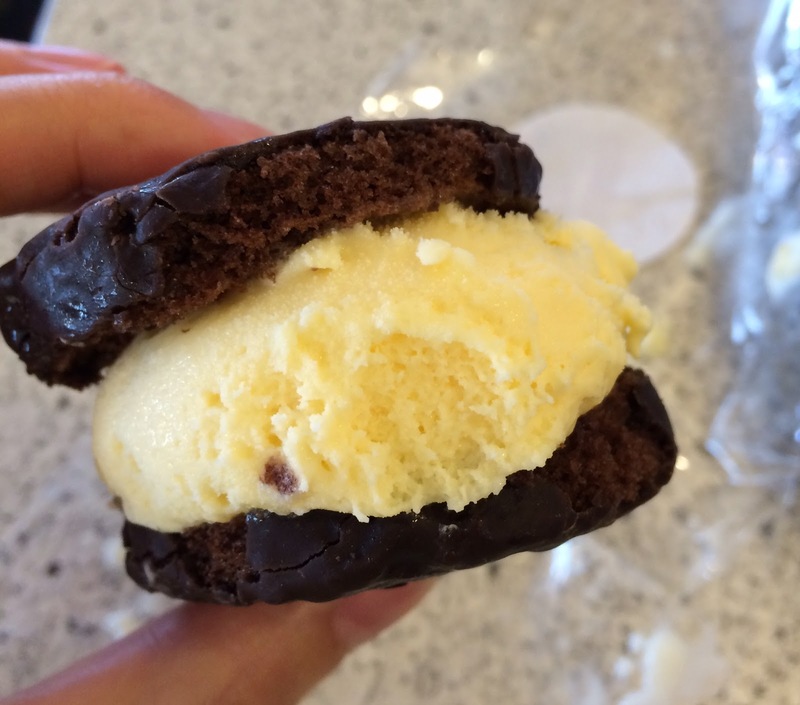 On the sticker, it said "Hand-Scooped." 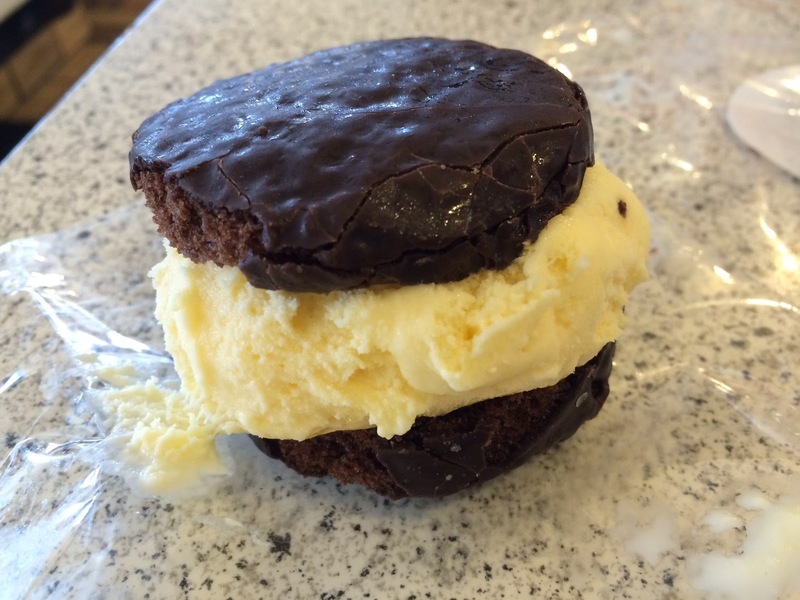 This was the ice cream sandwich inside. It looked like the one in the advertisement. 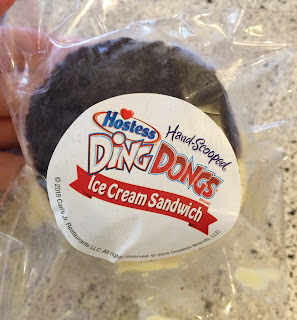 The Ding Dong was chocolate covered chocolate cake, and sliced cakes weren't frozen so that they're still a bit soft. 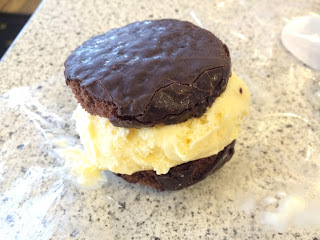 In the center of the cakes, there's cream filling and which was still soft and fluffy, and milk ice cream was sweet. 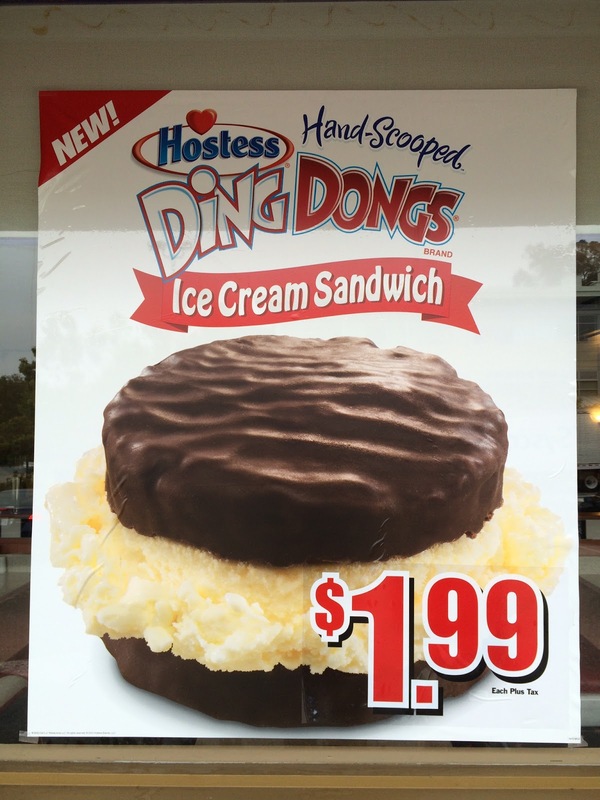 It's quite good and a perfect sized dessert, especially after having a large The 1/3lb. Most American Thickburger. 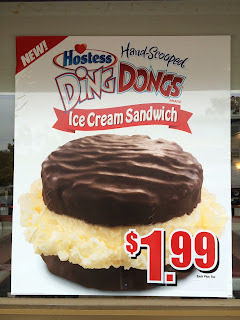 Other reviews of Carl's Jr.
Other Hostess snacks I had are following.